1.Easy to replace and take care. 2.Have a good function of practicability and decorations. Help avoid the desktop scratches. 3.Packaged flat rather than rolled, so that they would lay flat on the table and in good shape. 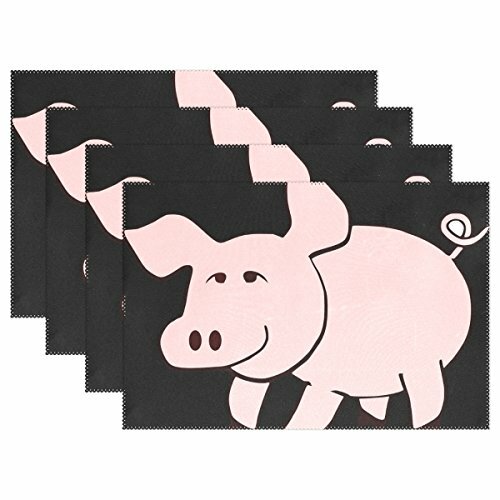 4.Reversible, Elegant brand new placemats. Slip resistance, non-stick, no fading and washable and heat- resistant. 1. Wipe clean with soapy water,and dry under the shade. 2. No machinewash or disinfected with microwaves. If you have any questions about this product by WIEDLKL, contact us by completing and submitting the form below. If you are looking for a specif part number, please include it with your message.